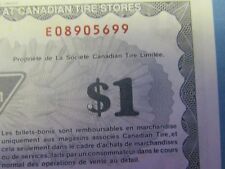 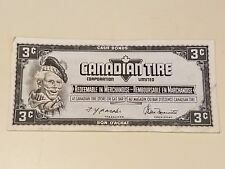 One Rare Vintage Mohwak gasoline service station note coupon 10 cents 3 other Canadian tire money Shipped with USPS First Class Package. 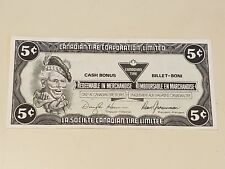 Canadian Tire Money - CTC G03-C-X - 3¢ - s/n X736594 - Rare in AU condition. 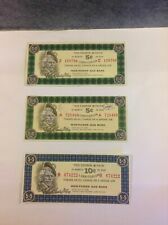 CTC 8-C1-BB2 Coupon “Nick On 2” Variety.